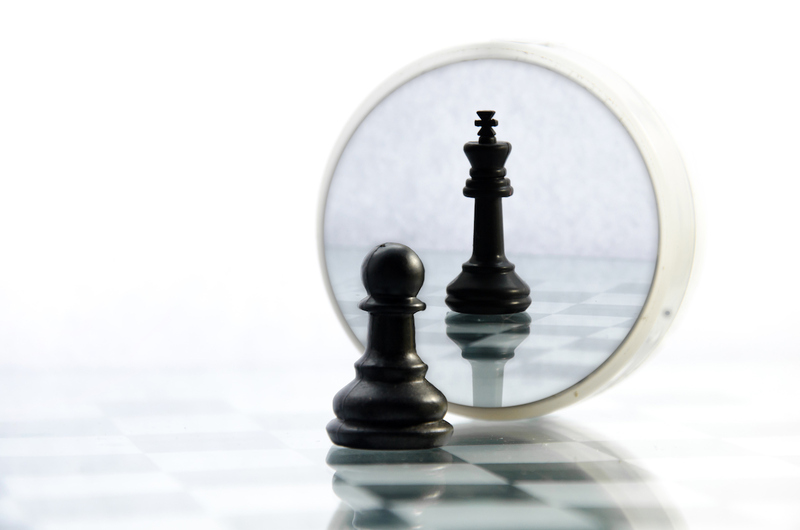 A period of self-reflection is good for individuals, companies and industries. I retired from Travis Credit Union as CEO more than three years ago. In the last year I’ve had both knees replaced, forcing me to take time out of my consulting, but I’ve made good use of that gift of time. As I look back on my four-decade career in credit unions and forward for what’s to come for credit unions, I see great things, from the members we’ve saved from financial ruin to the enduring relationships I have within the credit union community. My experiences have been wonderful overall, but as I reflect I also am pondering what I and others have done, could have done, and should have done to create an even more sustainable future for credit unions and the members we serve. 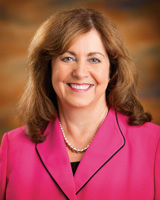 Patsy Van Ouwerkerk will serve on a panel, Credit Unions’ Worst Practices, at the Feb. 25 Underground Collision. Click here to learn more! 1. Credit unions preach cooperation but in practice we remain divided. We really don’t practice what we preach; we really don’t cooperate. I had the opportunity to serve on the California and Nevada Credit Union Leagues’ committee overseeing the cooperative advertising campaign. We recognized that awareness was (and is!) a critical issue for credit unions. Collaboratively we could tackle that issue, but the issue seemed to be that smaller credit unions felt the larger credit unions would reap most of the benefits. To its credit, the league went out on a limb to require all members to fund the effort. When the Great Recession hit, the program unfortunately lost support and fell apart, but we were doing good work to benefit ALL credit unions. The whole is greater than its parts, and we need that collective strength when our bank competitors on the same block are larger than all credit unions combined. 2. Advocacy at home and in Washington is critical, but we need stronger action in our home districts. Simply showing up at CUNA’s GAC or an annual Hike the Hill is not enough. Credit unions must work to develop relationships at home and represent where the voters live and work. While I was at Travis CU, we worked with our representative on a bill to fight financial elder abuse. Through that relationship we earned a seat at the table, and we ended up with legislation we could work with rather than having to fight it. No one comes out looking good when have to fight a bill to prevent financial elder abuse. 3. Succession planning focused on representative diversity. Credit union executives and volunteers should be representative of their memberships but rarely are. I’m not referring to quota systems or check-the-box exercises, but true employee and volunteer cultivation that moves the credit union toward that goal. Time and money are regularly spent on creating strategies for this, but ultimately, it’s typically just lip service with no execution. For volunteer recruitment, credit union boards should reach beyond their friends and colleagues, which usually brings in more of the same. Strengthen nominating committees and make strategic use of emeritus programs and advisory committees. Credit unions must approach representative diversity in much the same manner they approach project management. Piqued your interest? Register today to join us at the Underground Collision, Feb. 25, in Washington, DC. 4. Credit unions don’t need to take their regulator’s word as gospel. Regulators have a critical job, and I respect that, but they also have a different goal than your credit unions. Regulators are risk averse, and we cannot allow them to run our credit unions. The credit union’s purpose is to serve its members using sound business decisions, yes, weighted against risk. As I became more comfortable in the CEO role, I was able to respectfully push back against their recommendations. My formula eventually became one of reviewing the strategic plan and risk mitigation at the beginning of the exam in order to provide some pre-emptive context for the inevitable questions. 5. Saving small credit unions for the sake of saving small credit unions. The credit union community has sentimental and somewhat practical attachment to small credit unions, but we must ensure we’re saving the right ones. We prop up credit unions that are ineffective and inefficient, simply burning through member capital. From the opposite perspective, regulators came to me at Travis looking to merge strong, resilient credit unions. It made no sense! The credit union community must do better to understand when we’re throwing good money after bad, and when others simply deserve a leg up. 6. Placing profit ahead of purpose. Credit unions, over time and for various reasons, are increasingly putting financial motives as a higher priority than member service. When we provide members with the products and services they want in a convenient manner to them that are priced reasonably, the money will follow. Refocusing on member retention, in addition to adding new members, helps avoid the expense and inefficiency of churn, leading to more stable profits and benefits to all. My greatest frustration, and therefor unfinished business in the credit union community, is that we’ve been talking about these issues my entire 40-year career and not much has changed. I’m glad to have had my year off to reflect on what needs to be done. I’m also grateful to be joining Mitchell Stankovic & Associates and the Underground Community to work with credit unions to do something about it.